F-150 PLATINUM CREW 4X4. NAVI, REAR CAM, MOON, LEATHER, SYNC, LUXURY TRUCK! CHECK OUT THE VIDEO! ARJ'S AUTO SALES IS PROUD TO PRESENT THIS LOADED 2012 FORD F-150 PLATINUM SUPERCREW. THE DISTINCTIVE EXTERIOR IS A TUXEDO BLACK METALLIC WITH ALUMINUMM ACCENTS AND OPENS TO A LUXURIOUS BROWN LEATHER INTERIOR. EQUIPPED WITH HEATED & COOLED LEATHER, MOONROOF, NAVIGATION, REAR CAMERA, POWER WINDOWS, LOCKS AND MIRRORS, CD, AND CRUISE. FORD SYNC ALLOWS FOR HANDSFREE PHONE AND MEDIA CONTROL. THE 3.5L V-6 ECOBOOST TURBO PUTS OUT 360+ HP AND 420 LB/FT OF TORQUE PAIRED TO A TOW PACKAGE CAN HANDLE JOBS WITH EASE. THE LARGE CHROME WHEELS HAVE GREAT TIRES. GREAT VALUE ON A LUXURY 4X4! PLEASE TAKE A MINUTE TO CLICK-ON THE LINK AND VIEW 30+ PHOTOS WITH A DETAILED CARFAX REPORT FOR FREE. THIS VEHICLE TRULY IS MECHANICALLY AND COSMETICALLY IN GREAT SHAPE AND DRIVES DOWN THE ROAD JUST AS IT SHOULD. ALSO NOTE FOR ADDED REASSURANCE, EXTENDED WARRANTIES ARE AVAILABLE FOR UP TO 3 YEARS WITH UNLIMITED MILES. FINANCING IS ALSO AVAILABLE WITH MANY DIFFERENT PROGRAMS TO FIT ALL OF YOUR NEEDS. WE WELCOME ALL OUT-OF-STATE BUYERS AND TRADE-INS. AIRPORT, BUS AND TRAIN STATION PICK-UP IS NO PROBLEM!!! 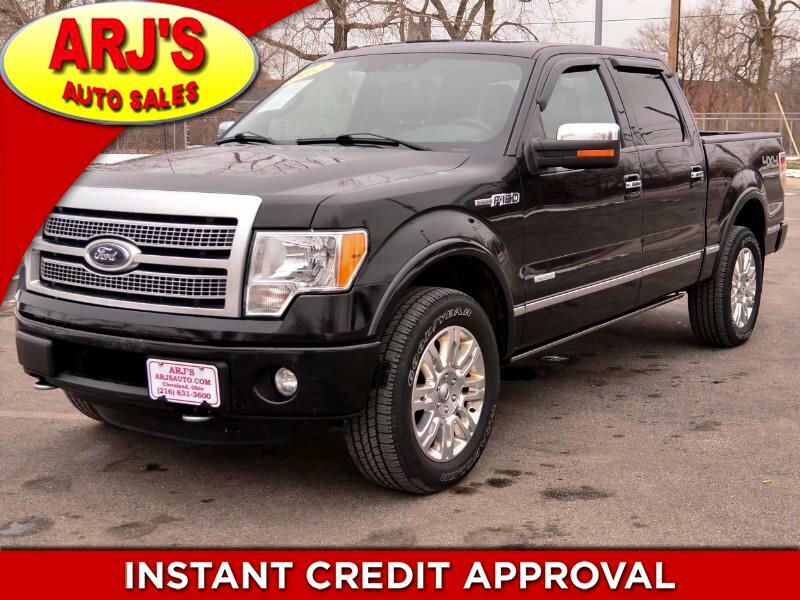 FOR MORE INFORMATION AND TO SEE THIS FORD, CALL 216-631-3600. ARJ'S AUTO SALES IS NOT RESPONSIBLE FOR ANY BANK/LOCAL/STATE OR COUNTY FEES. ANY ADDITIONAL FEES CAN BE ADDED TO THE INTERNET CASH PRICE IF THE CUSTOMER ELECTS. If we do not have what you are looking for, we will find it for you. We can find any vehicle with any option...such as Navigation, Leather, Heated & Cooled Seats, Sunroof, Moonroof, 4WD, AWD, Back Up Camera, Bluetooth, Premium Audio, Premium Wheels, Tow Package, Trailer Hitch, Lift Kits, Power Windows & Locks, DVD and more.! !